FUTURE COMMUNICATION from West One on Vimeo. 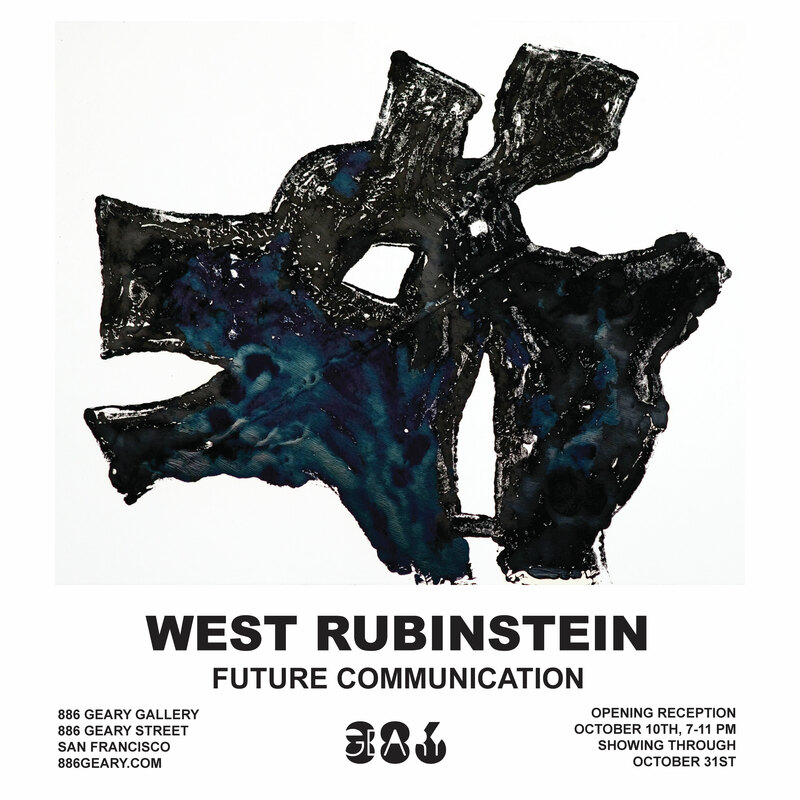 West Rubinstein will be exhibiting a new body of work Oct 10th at 886 Geary Gallery this week. 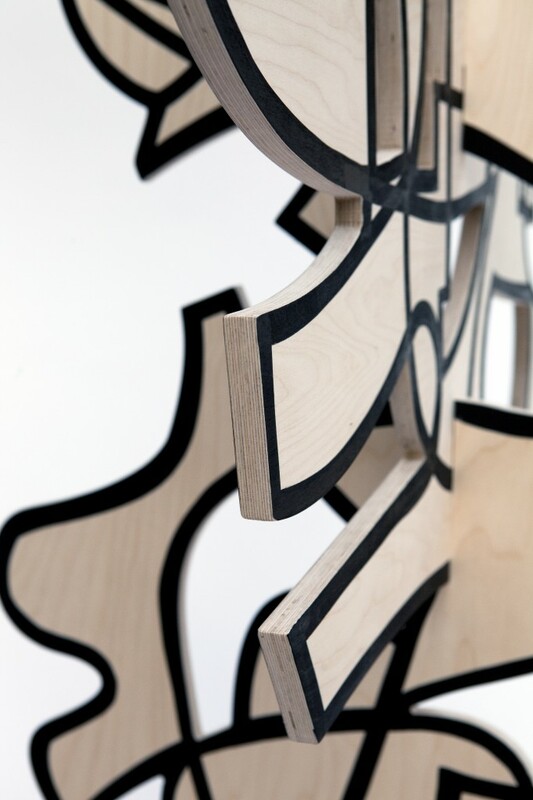 The exhibition titled “Future Communication” is an impressive new body of work from the artist. With a deep history as a graffiti artist dating back to the early eighties on the subways of New York, West has channeled these experiences in “Future Communication” in a way you might not have predicted. The correlation between the coded symbols prevalent in cave paintings and a young intercity youth movement might not be noticed at first, but its this relationship that West explores in this new body of work. 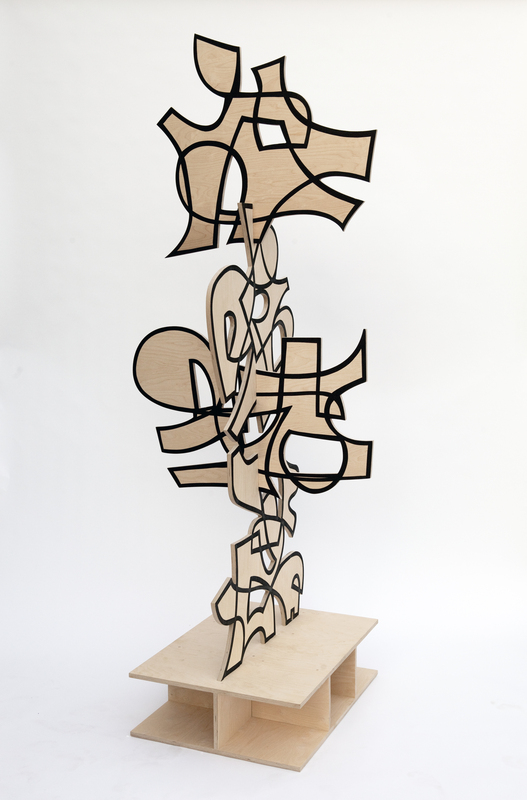 “Future Communication” represents an interrogation of symbols and communication by analog means. 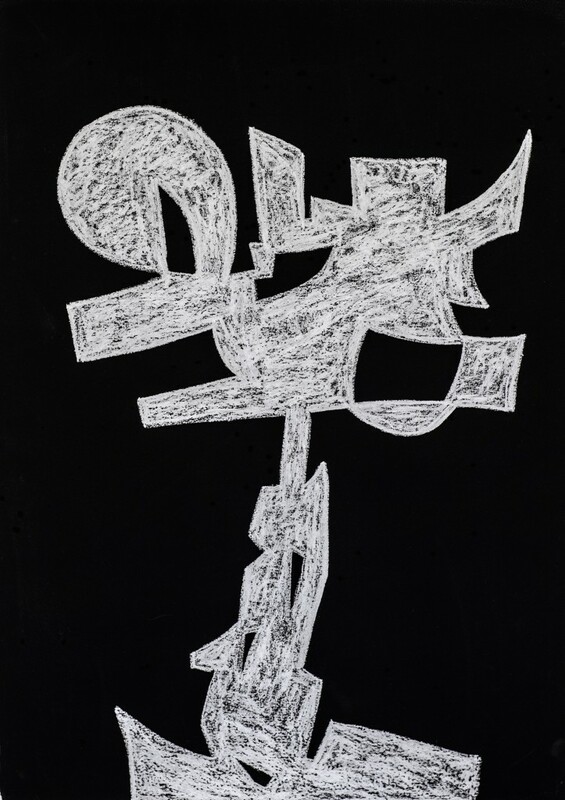 Through deconstruction and the artists’ personal experience with an art form built on coded symbols of communication West has found inspiration and an important subject to explore through sculptures, paintings, and mono prints. We have included a brief teaser video above that gives some more insight into what to expect from the exhibition so make sure you take a second to watch it, also take a second to read Carlos Mare’s esssay on the exhibition posted in full below. The artist will also be releasing ahead of the exhibition a limited edition print release Oct 8th 9am PST. Make sure you save the date for the print release and our follow up post coming later this week when it drops. If you are in San Francisco this will be an opening that you will not want to miss. Born in New York City, West Rubinstein was raised in a metropolis where symbols informed every waking moment of life. Whether it was street signage, commercial advertising, or graffiti on walls or trains, these messages subliminally informed how he was to negotiate his place in a city of 8 million. Early in the 1980’s he found refuge with an informal art movement made up of kids who found purpose and identity in the city’s underground subway system, known as writers, they would leave intricate markings and symbols familiar only to themselves on the interior and exteriors of subway cars. This act demonstrated a deeper and more primitive impulse built into humankind in it’s attempts to give meaning to it’s surroundings and to communicate with others within it’s community. His new series Future Communication, which includes a variety of paintings, sculpture, and paper works is an effort to deconstruct this history of elaborate symbol making into simple, less precise and more essential forms that prehistoric man himself may have discovered in an effort to communicate. 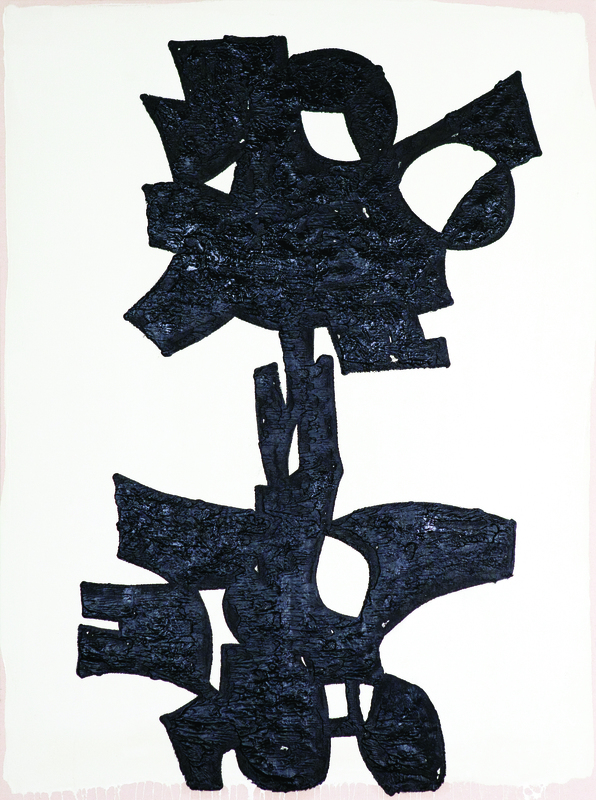 These new works evoke Parietal art, West African art, the Totems poles of North America and the Graffiti of his youth. West both utilizes and disposes of those histories and familiar iconographies to make way for a new type of communiqué. They are neither familiar nor unfamiliar but within them lay a definitive and assertive language that is being formed which touches and speaks to our collective subconscious. 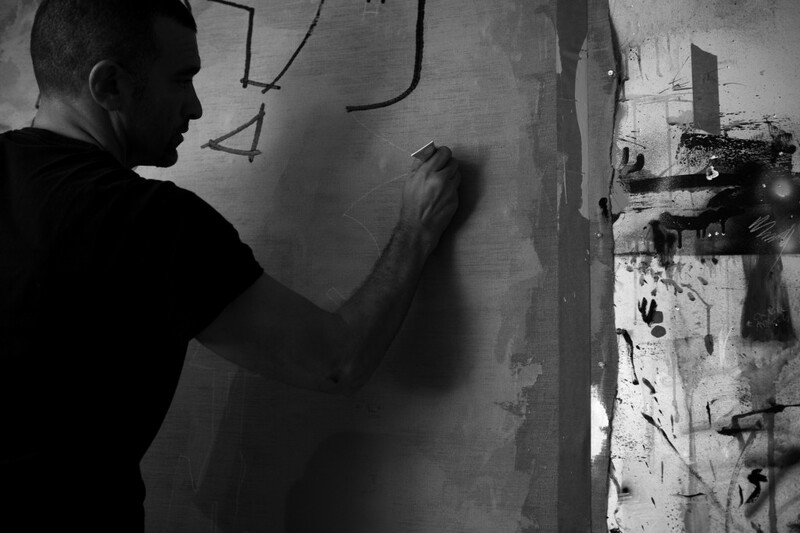 Reconstructing this new visual language required a distancing from his influences of abstract expressionism and the brilliant post-Graffiti action paintings of his 2011 series Freedom Suite in which he explored the physicality and emotional qualities of writing and painting gestures with the use of temperate color themes over richly impasto layered backgrounds. These heavily invested works exhausted his ideas around the act of subconscious action painting and modern abstraction. In contrast, the Future Communication works are thoughtful pared down abstractions of letterforms that become the foundation for a new symbolic language. The results are absolute forms with mysterious meanings. These outcomes are a direct result of a process in which three-dimensional objects are informing the image that is created, and visa versa. 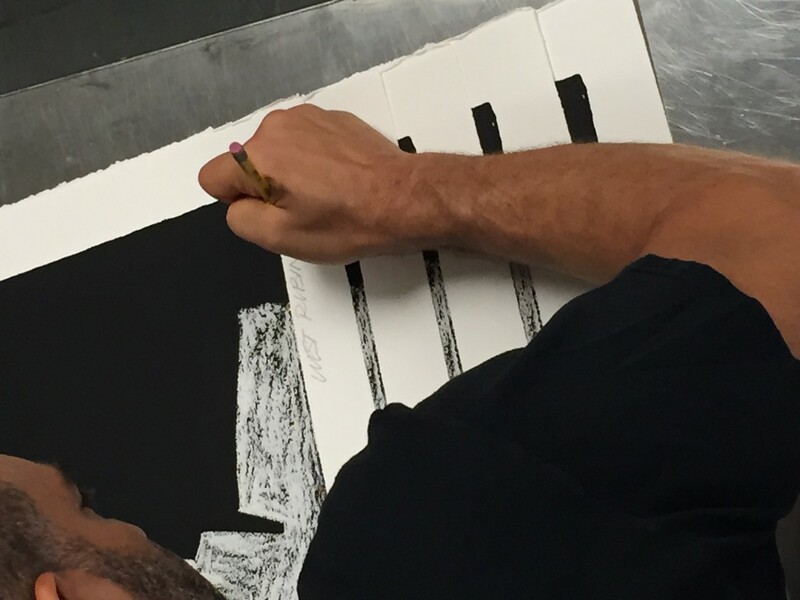 West’s initial unconscious markings are built up into objects that he constructs to identify relationships between open spaces, light, color and shadows. 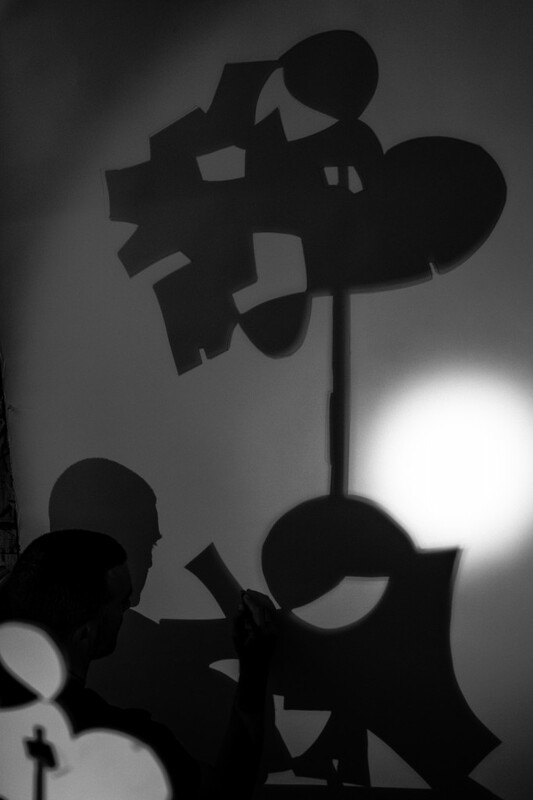 What emerges from this process is a semiotic code which he is able to telegraph visually onto canvas. 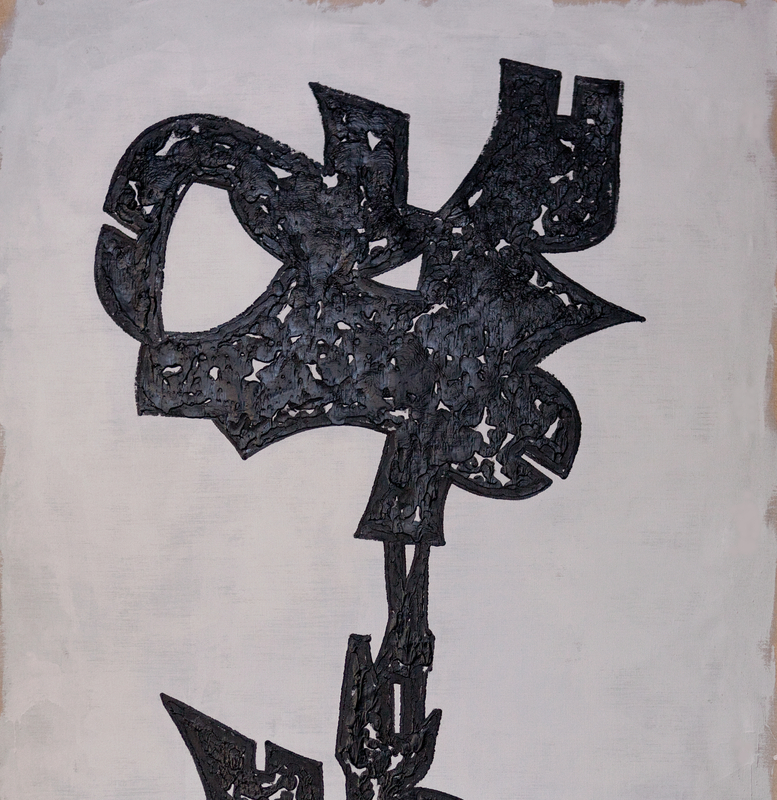 West further encrypts these symbols by using heavily impastoed Oil paint, Latex, and Oil Sticks. Often these images are so dense that they lift off of their neutral backgrounds creating a braille like effect. 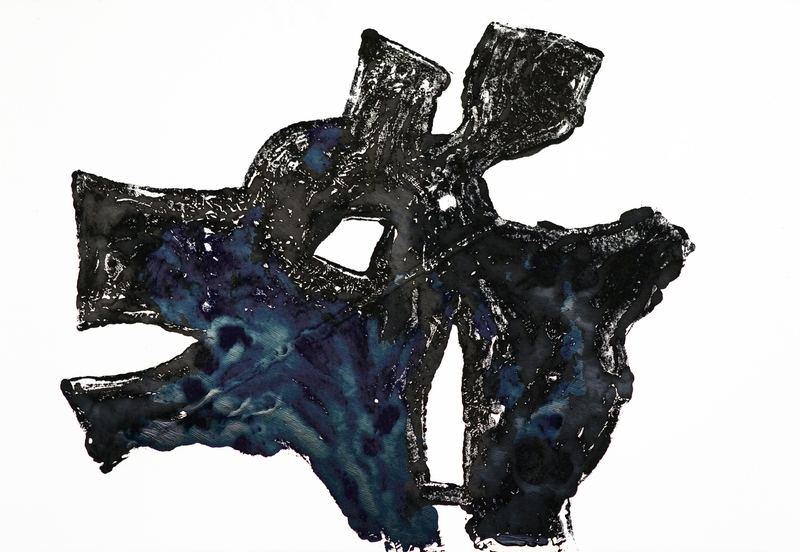 At times he employs a mono print methodology that leaves an element of unpredictable outcomes on the canvas or paper, these imprints, imperfect and emotive suggest a connection to Rorschach symbolism. Presumably just as early man may have discovered the silhouette of his hand by a campfire and was able to see an invisible part of himself, here too West discovers himself anew in the shadows of his work.